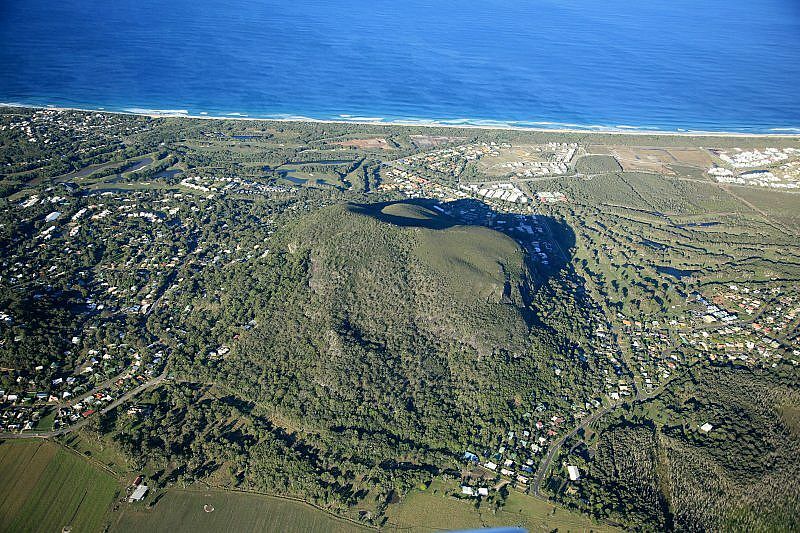 Mount Coolum is an isolated volcanic dome, 208 metres in height, roughly circular in outline, covering a plan area of approximately 1 square kilometre. Geologically, it is principally composed of sodium and potassium rich rhyolite with some sandstone surrounds. Potassium-argon dating gives and age of between 25 and 26 million years. One of the most notable features of the mountain geology is the striking columnar / crystal jointing patterns clearly visible both on the main cliffs and the faces of the disused quarry. 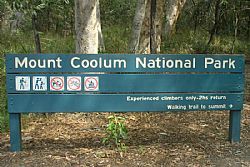 Although the geology of Mount Coolum is in itself quite spectacular, some of its most important aspects are not so immediately obvious. 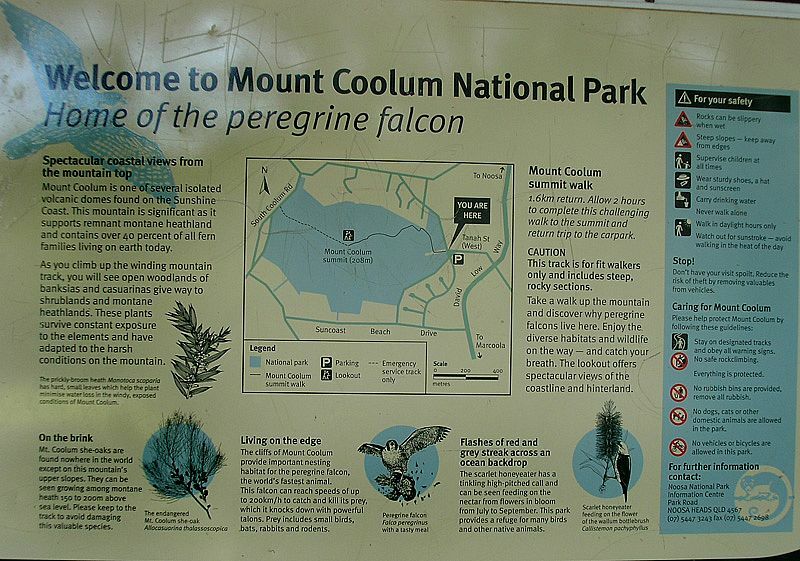 Ecologically, Mount Coolum is one of the most important square kilometres in Australia. The diversity of plant life within such a confined area is unequalled. 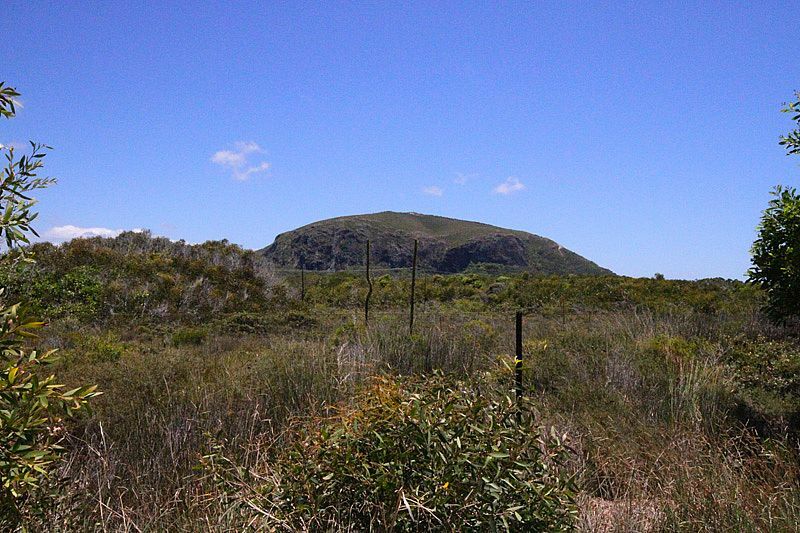 The site has been intensely studied and over 700 plant types are now documented. This includes 590 flowering plants, 49 ferns and over 100 species of the lesser plants such as mosses, liverworts, lichens etc. By way of comparison, there are only 1400 species in all of Great Britain. Deserving particular note is the fact that the 49 ferns belong to 20 distinct families, some 40% of all fern families living on earth today. Psilotum Nudum, evolutionary the world's most primitive plant, is common. 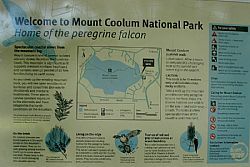 Two recently discovered species of trees are found nowhere else, and the area in general is unique in that numerous species find the limit of their distribution, be it in northern or southern, on Mount Coolum. 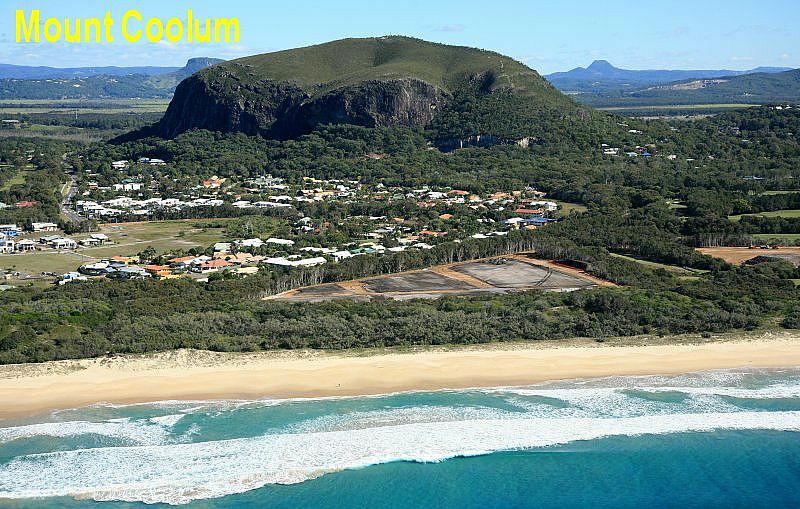 Do you have a photo of Mount Coolum that you would like to submit to us. 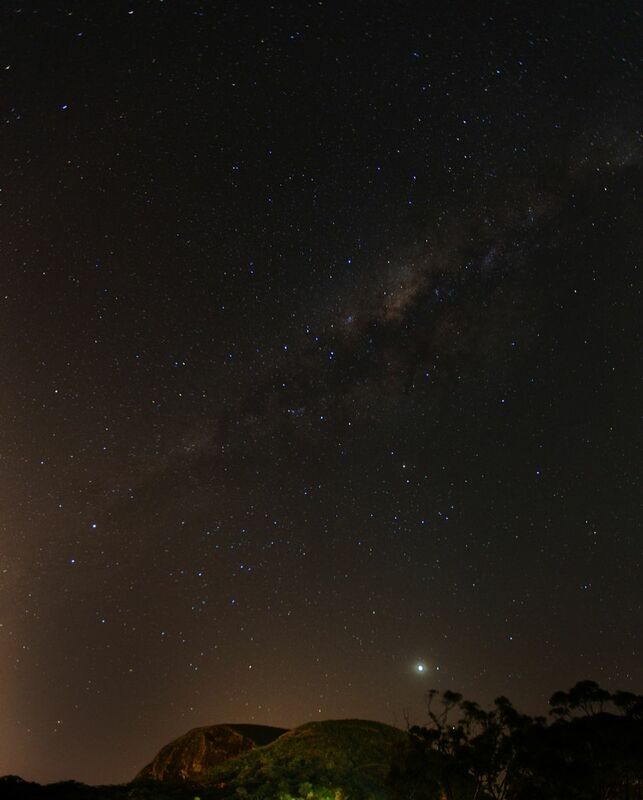 Simply email to us at mail@coolum.com.au. Your details will be included on the listing. 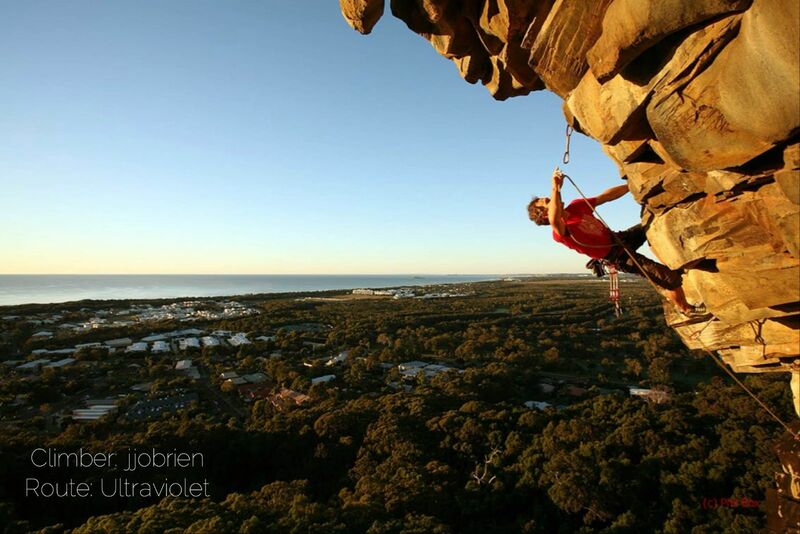 J Jobrien Climbing Mt Coolum a different way. 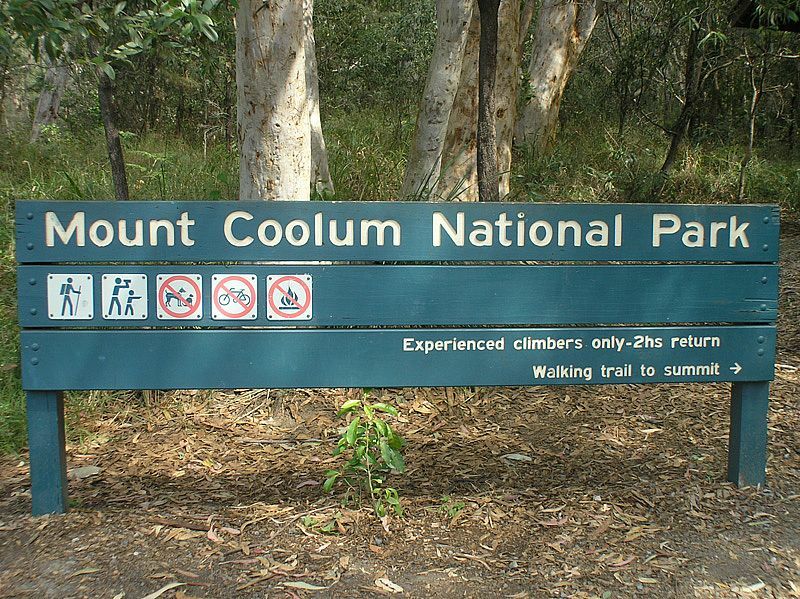 Even ignoring the technical excellence of Mount Coolum as a place of interest, it still provides an unparalleled opportunity to enjoy those age old delights of escaping from the hurly-burly of contemporary life, looking at beautiful and spectacular scenery and taking a dose of practical, non-regimented exercise all at the same time. 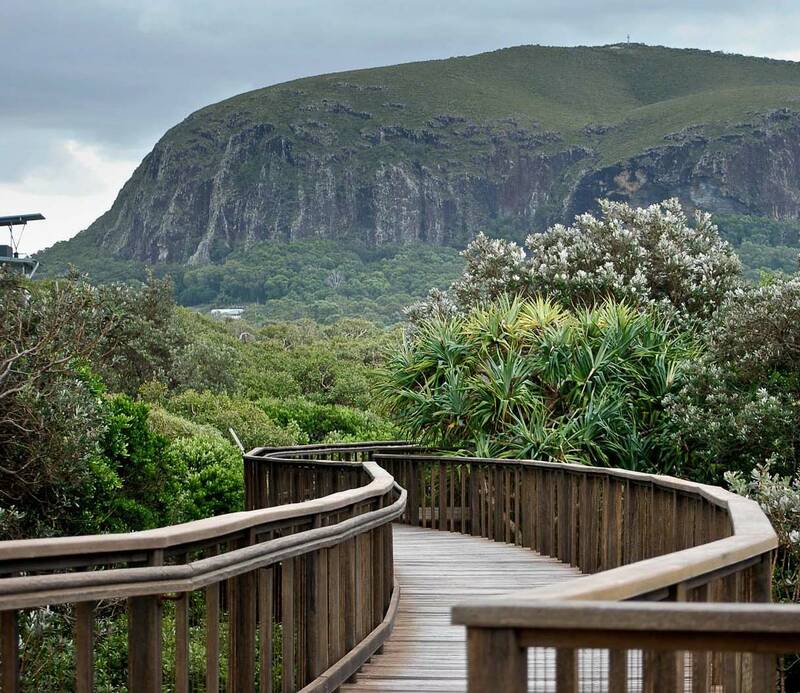 It goes without saying that the view from the summit is truly magnificent; a 360 degree overview of the Sunshine Coast can be had by simply turning around; coastline and beaches extending from Moreton Island to Double Island Point, the cane fields and wetland areas of the Maroochy River Valley, as well as the main areas of the Coast, plus more; for the photography buff, there is a seemingly endless supply of material just waiting to be captured. 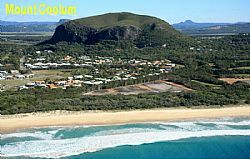 Long before the appearance of Europeans, the Aborigines were also obviously affected by its aesthetic appeal; its image of solidity; its stark, isolated bulk; almost every story, myth or legend of these parts involves Mount Coolum in some way. 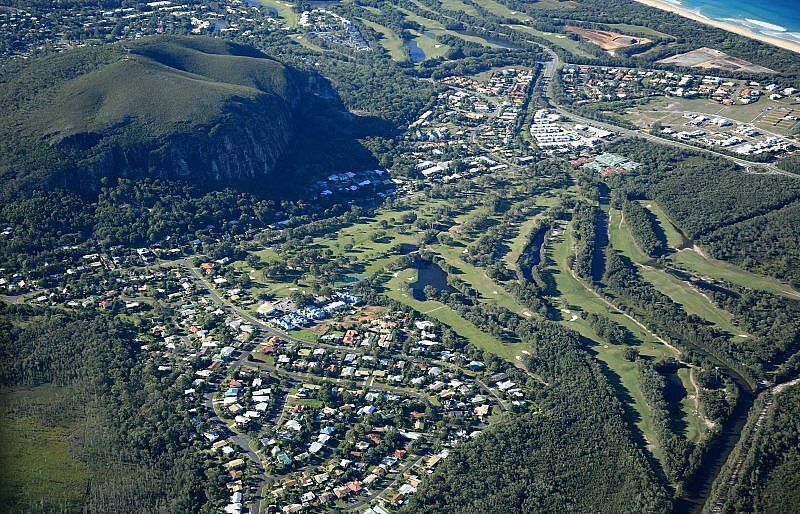 We trust that you, too, will become involved with Mount Coolum, and take a little bit of it away in your memory a symbol of a happy and enjoyable stay.